The other day, I had an appointment. My name was called and I followed a woman back to her office, so she could get all my information. She did not say hello, she did not smile, she was doing her job. As she was doing her job gathering my information, I noticed that I was giving her short answers myself. But soon after, I realized I didn’t need to act the same way. I continued giving her my information trying to be more pleasant. She was an attractive lady, maybe around my age or younger, dressed nicely. She had on a blue blouse with white pants and white sandals. Her hair was nicely done as well (something I always notice since I was once a hairstylist). When we were done, she walked me up to the second floor to the office I needed to be in. As we walked up the stairs, I just said to her, “you know I really like your outfit, I’ve always liked the blue and white combination.” She thanked me and then proceeded to tell me that someone told her she wouldn’t be able to where the white shoes after Labor Day. I had to laugh, I didn’t think anyone followed that rule anymore, and that is what I told her. I sat down in the waiting room and she took my information to the person who needed it. As she walked past me to go back to her office, she said “(the person’s name) will be with you shortly, Carrie.” This time she was actually smiling a little. Sometimes we just need to reach out to people, even if it is just a hello with a smile, or a compliment. Everyone is dealing with something, and we tend to just focus on ourselves. I could have walked in silence with this stranger, lost in my own thoughts, but instead for that brief moment we shared a smile and a laugh, and I know myself I felt better, hopefully she did too. 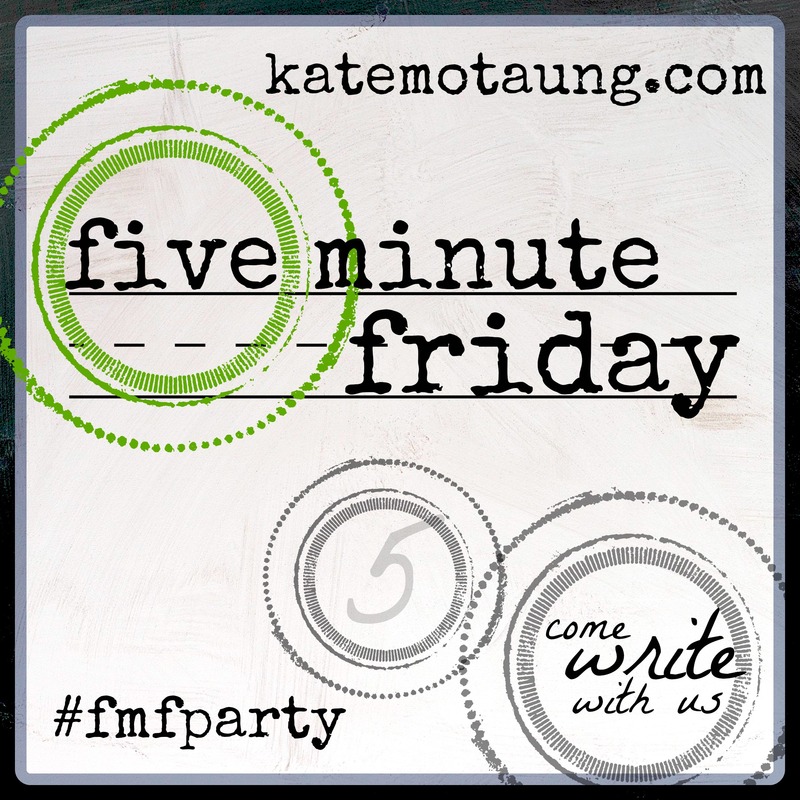 This entry was posted in Five Minute Friday, Life and tagged Five Minute Friday, Life, Reach, Reach out. Bookmark the permalink. Very nicely said and it’s great advice as well! Thanks for stopping by Hannah =].